Church on Sunday . . . 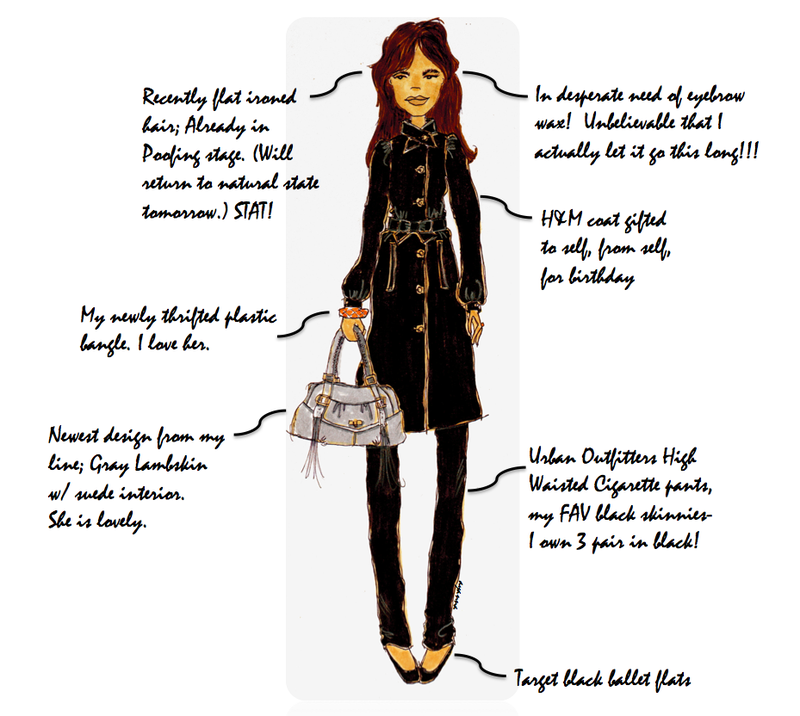 This entry was posted in fashion, Personal Style Illustrations, The Worn Identity and tagged Fashion illustration, personal style, Target, thrift shopping, Urban Outfitters on January 17, 2012 by thelookbookphilosophy. This is such a great idea! Your bags are gorgeous as well, theyre creeping onto my want list! I love this – clever way around those uncomfortable selfies. I’m the same way; I love sharing my outfit of the days, but am not too keen on having a blown up picture of myself attempting to “model”. Love it!